I cant believe we are already halfway through the week. Literally it just got me that we are almost done with another week! I also can not believe that we are in the month of November that is beyond crazy to me! Now that we are in November I am in full planning for Friendsgiving. I love Friendsgiving, last year my firends and I hosted it. And this year we decided to do it again! It is just so fun to have friends come together and reconect! It is one of my favorite things for sure! 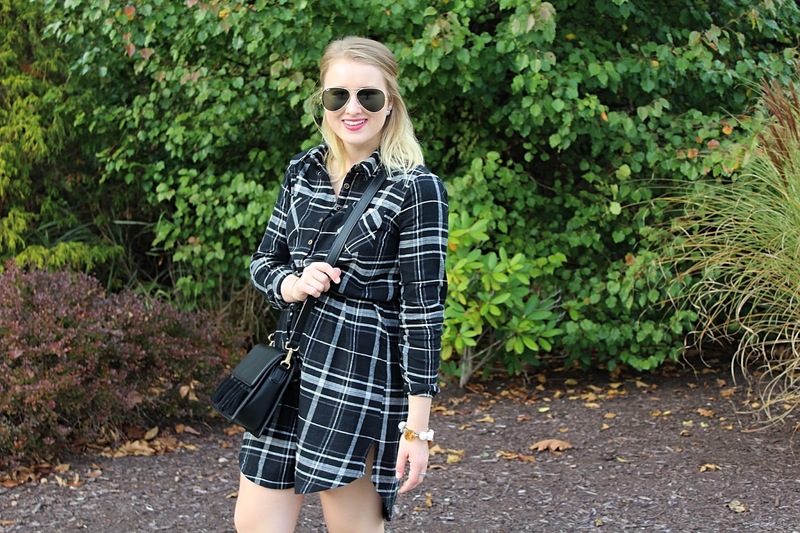 I recently purchased this flannel dress from Target and I am beyond obsessed with this dress! I always have wanted a flannel dress! They seem so comfy and so effortlessly sylish! 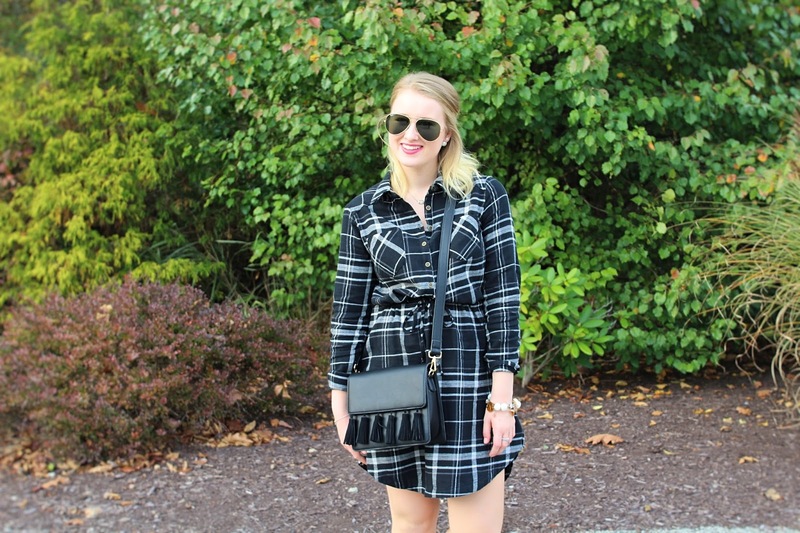 Well I am here to tell you this Flannel dress is so comfy! I felt like I was seriously wearing pj’s! The best part is this dress is super versitile and can easily be worn so many different ways. It has instantly become one of my go to’s for Fall! Also can we take a moment to discuss this awesome fringe bag? I am beyond obsessed with it! 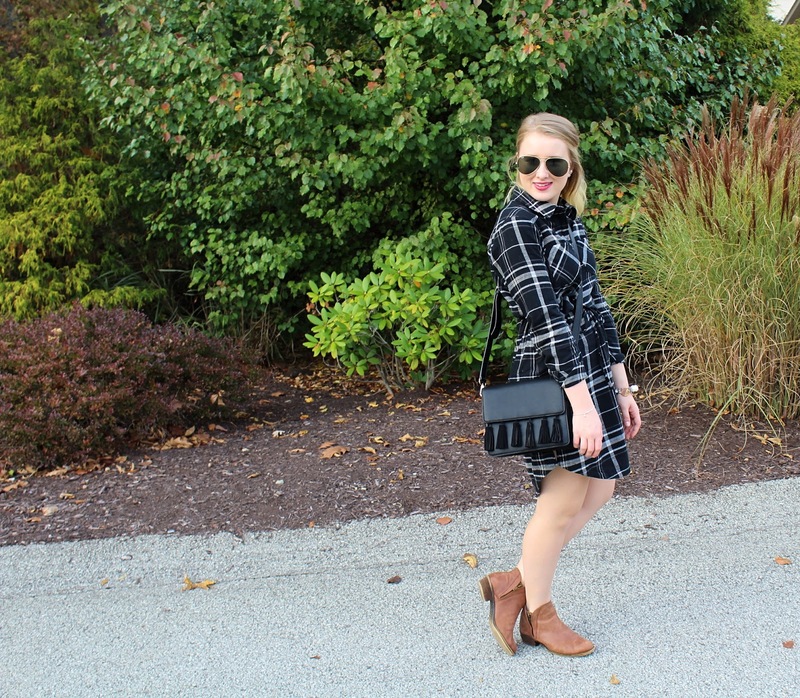 It is literally the perfect piece for fall and the colder months! Previous Post Tricks or Treats! Hello fantastic girl in flannel!!! LOVE the shirt dresses and you rock it like a pro!! So Fall and so Fun!! 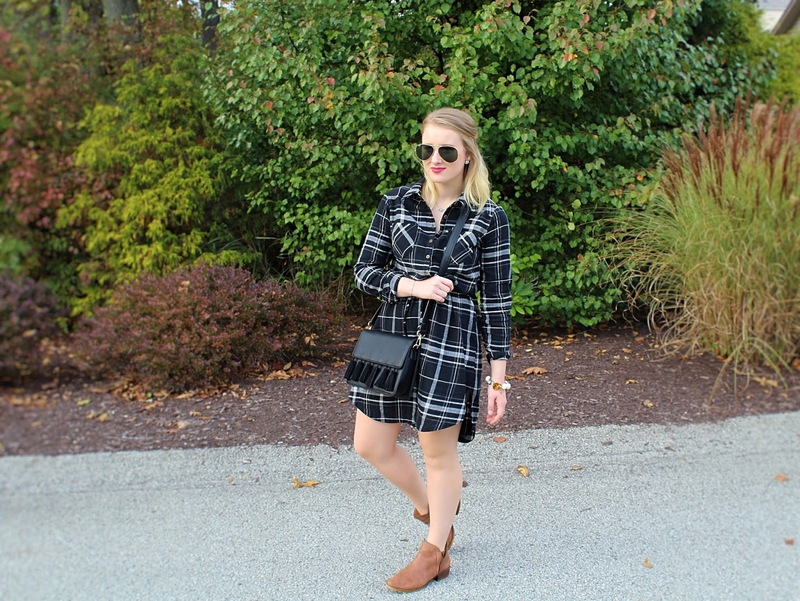 I love this flannel dress on you Victoria! It looks so comfy! Great photos! xoLuci’s Morsels | fashion. food. frivolity. 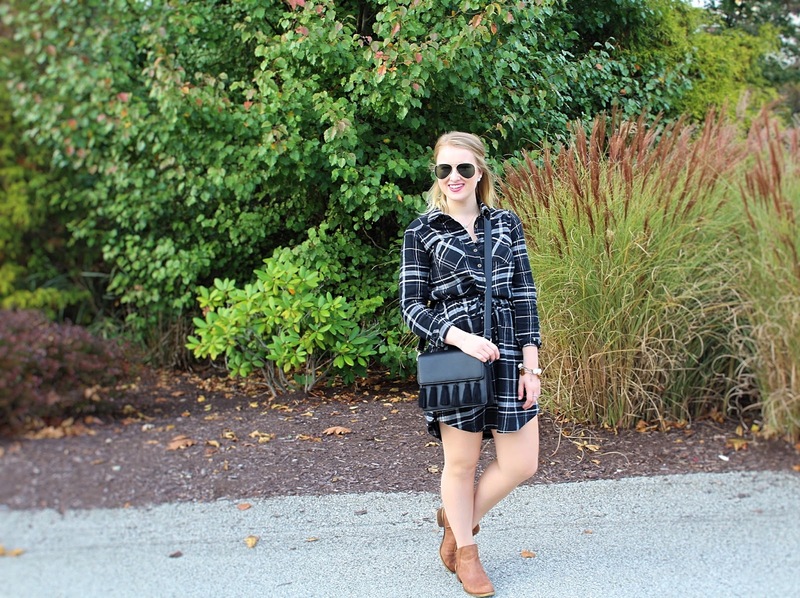 Love flannel and especially in a dress ! Cozy and warm 🙂 You look perfect !